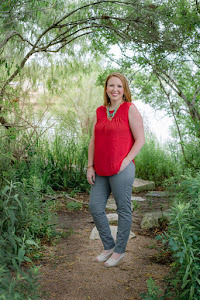 So, my BFF Lindsee recently did a post of her favorite things because she is just like Oprah. It just so happens that I love the Oprah Show (I did not say I love Oprah. I love the Oprah show.... home decorating/dramatic human interest stories/surprising people with fun dream-come-true moments... not the "you are your own god" crap) and I also love Lindsee, so I decided to follow suit. 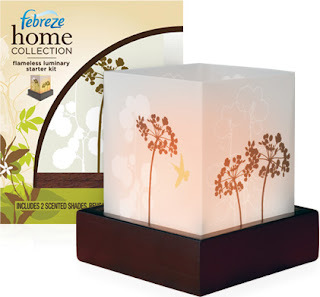 These is the Febreze Flameless Luminary. LOVE. THESE. They have a scent but they are flameless (hence the name flameless luminary) and are delightful for the ambiance of your home. They glow and flicker like a candle but you don't have to worry about catching things on fire. However, my dear darling husband (who is not a fan of strong scents) always tells me to "turn it off for now"...... I am constantly explaining to him that the scent is ALWAYS on and the flickering candle does nothing other than make it look like a candle. He cracks me up. Cranberry juice is my juice of choice. No, no, not cranberry juice cocktail. 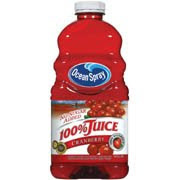 I like the Oceanspray 100% stuff. It's what I drink when I'm trying to be healthy. Plus, I've never had a urinary tract infection and I'd like to think it's all thanks to this yummy beverage. Was that too much info? Since it has been ever-so-chilly here in Houston, I have made good use of my seat warmers in my car. The majority of the year the seat warmers only serve as a tool for Grant and I to aggravate each other. 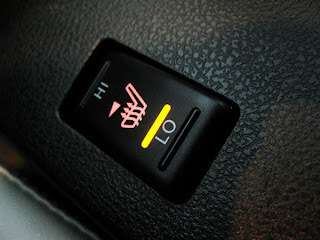 When one of us is distracted, the other one will quickly (and in a subtle way) turn the other's seat warmer to high and then wait and then crack up hysterically when they start to squirm and then look down and see that their seat warmer is on when it is 98 degrees outside. It never gets old! 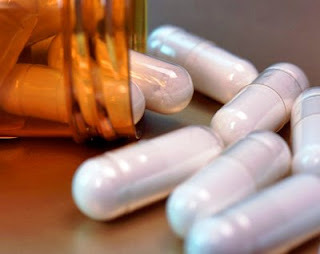 I'm just gonna come out and say it, I do love me some antibiotics. Last Wednesday I woke up and felt like I had been hit by a train. Twice. Then, I felt like some magical little fairies had flown into my throat and scratched it up with their fairy wands. Then, the fairies proceeded to stab me in the throat with pricks from a cactus and then bounce from cactus prick to cactus prick. Also, they poured maple syrup into my ears. Anyhoo, I went to the most awkward doctor this side of the Mississippi River who prescribed some drugs which I happily took and when I woke up Friday morning I felt like a new woman. I can't believe we haven't talked about this till now. Did you know that Panera is now serving macaroni and cheese? OH YES THEY ARE. What I love most is that when I was googling an image to use for Panera's macaroni and cheese, this image turned up from someone else's blog. 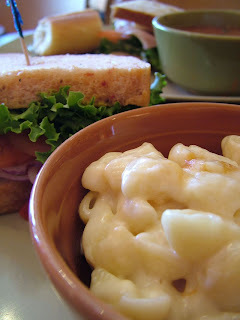 A fellow blogger was so impressed by the macaroni and cheese that she took a picture of her meal and blogged about it. IT IS SO GOOD. You simply must try it. 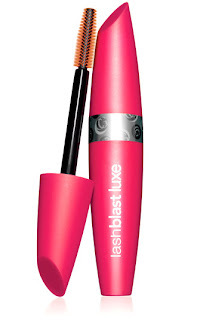 LASH BLAST LUXE, by Covergirl. It make your lashes explode and it has just the tiniest bit of shimmer. Please pray for me as this morning my LASH BLAST LUXE by COVERGIRL fell under the seat of my car (with the lid on, thank goodness) and I have yet to be able to retrieve it. Does anyone else watch "How I Met Your Mother"? We now own all the seasons on DVD and are almost finished with Season 4. WE LOVE THIS SHOW. Cracks us up. It's a good premise too and I am anxious to see how it ends. They have the same chemistry that the cast of Friends did. 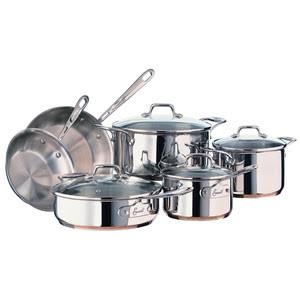 The Chi iron. I've had so many posts about the chi. 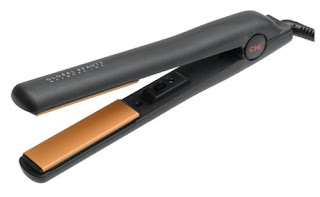 It is a gift and I think women all over the world have better hair thanks to straightening irons in general. 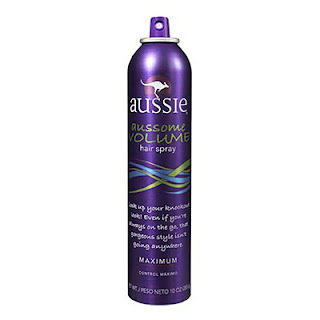 While we're on the subject of hair, I'd like to introduce you to Aussie Aussome Volume hairspray. I very much enjoy it. So does my dog. He goes nuts when I spray it! 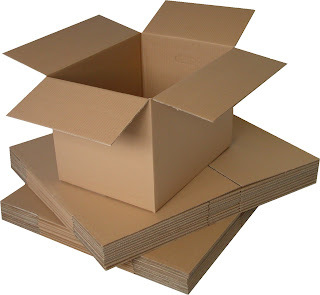 Lastly, I am currently a big fan of cardboard boxes. So it's not exactly "girls in white dresses with blue satin sashes" or "toybells and sleighbells and schnitzel with noodles", but these are a few of my favorite things! We love How I Met your mother too!! We play the seat warmer game!! Oh, I am so trying the febreze things now. I am sure they smell lovely. Also, next time I need some hairspray Aussie will be my choice. I love me some volume. Love you! I love love that you guys play the "bun warmer" game!!! Chris and I do that ALL the time in my mom's car!! HELLO PANERA MAC AND CHEESE!!! I love Aussie... smells so good!! I totally trick people with the seat warmer thing. Hilarious!